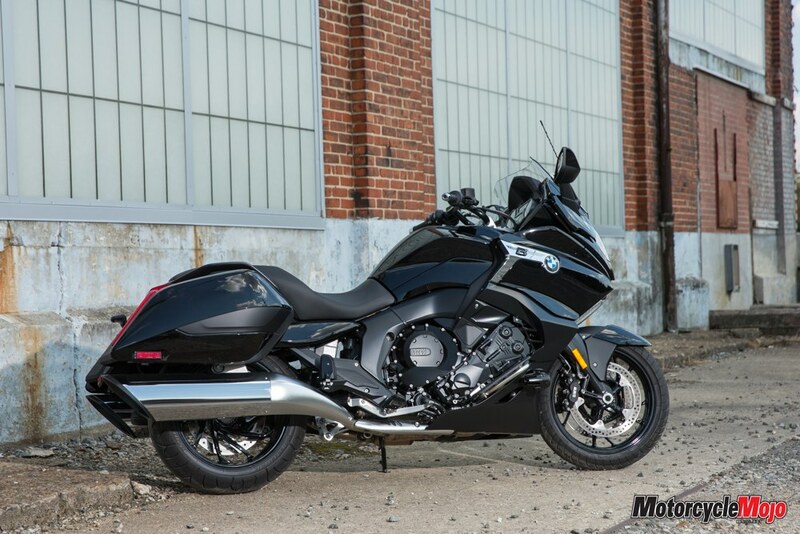 BMW’s new Bagger attempts to eclipse the competition. 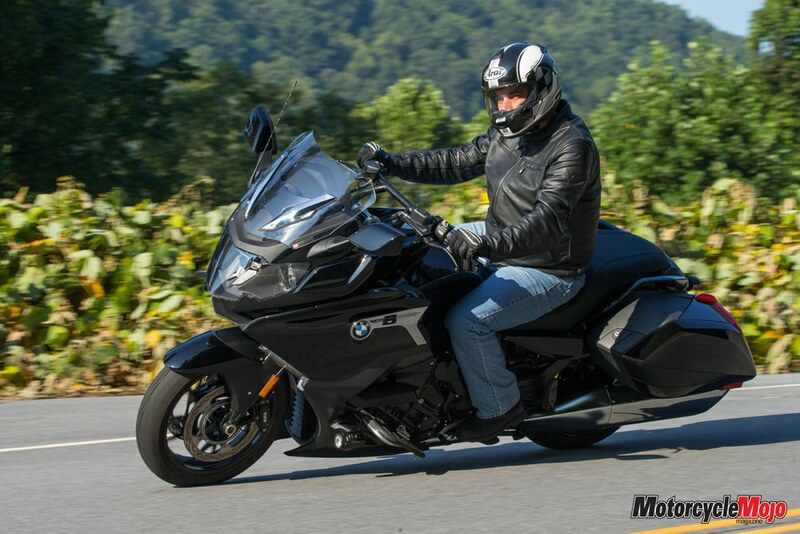 By press event standards, the launch of the 2018 BMW K1600B Bagger, held just outside of Asheville, North Carolina, was exceptional. 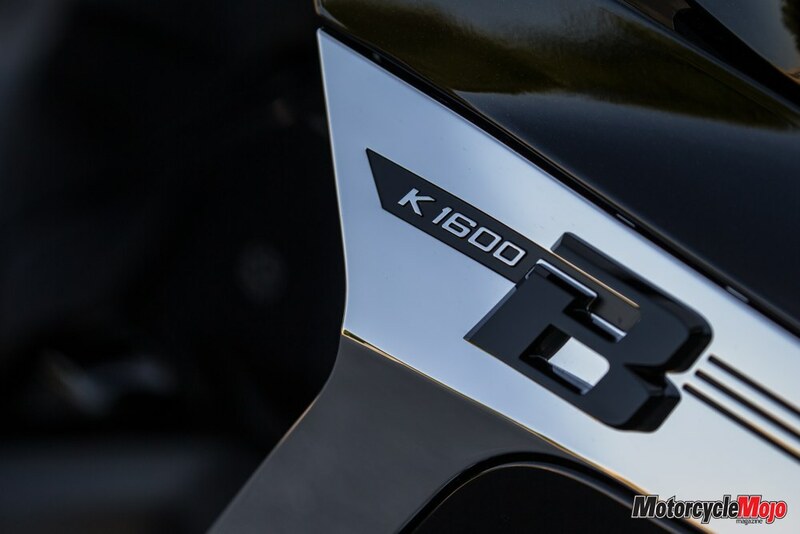 But that was appropriate being that the K1600B is an exceptional motorcycle. 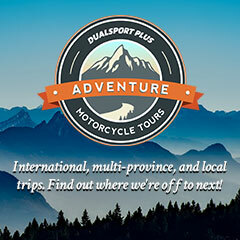 During the two-day event, we meandered through the picturesque Blue Ridge Mountains and rode through three states for a total of about 700 km. That’s long by press launch standards, especially when sometimes we’re barely in the seat for more than 160 km. In a display of unadulterated opulence, we stayed at the 8,000-acre Biltmore Estates in Asheville, on which you’ll find the colossal 250-room Biltmore House, constructed by George Washington Vanderbilt II at the turn of the 20th century, when he was only 26 years old. And, of course, the pièce de résistance: The launch was held in conjunction with the August 21st solar eclipse, and we were in the zone of totality. 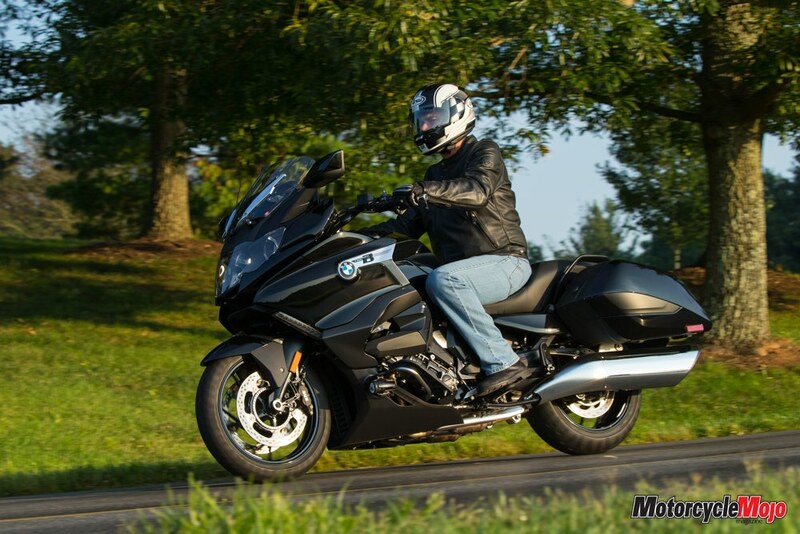 Calling the K1600B a bagger is misleading. 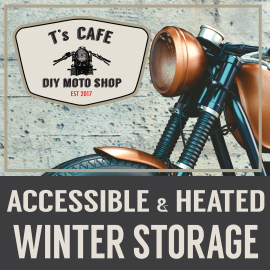 Baggers are an American phenomenon that started sometime in the early 1990s, when owners of American-made V-twin touring bikes stripped off top cases, cut windscreens and dropped suspensions to produce more streamlined long-distance machines. 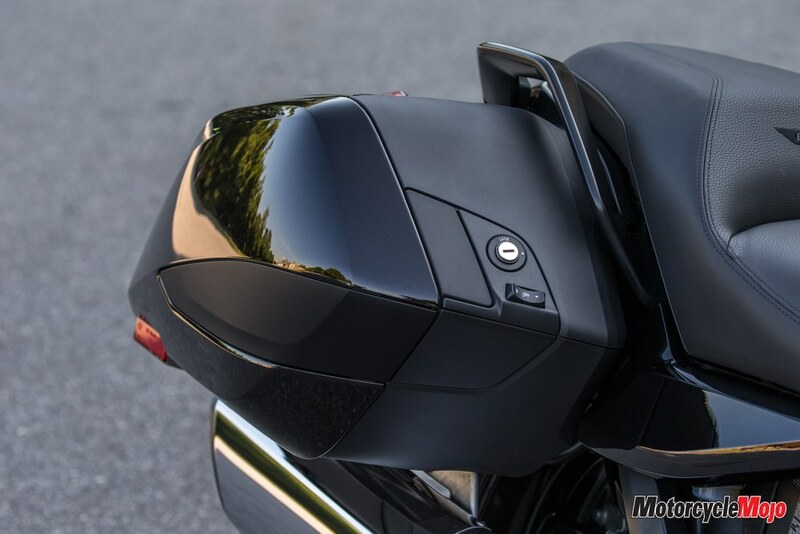 In the late 1990s, Harley-Davidson produced the first factory bagger, the Road Glide, and other American bike makers (namely now defunct Victory) followed with their own versions of these paired-down V-twin tourers (Indian also makes them now). 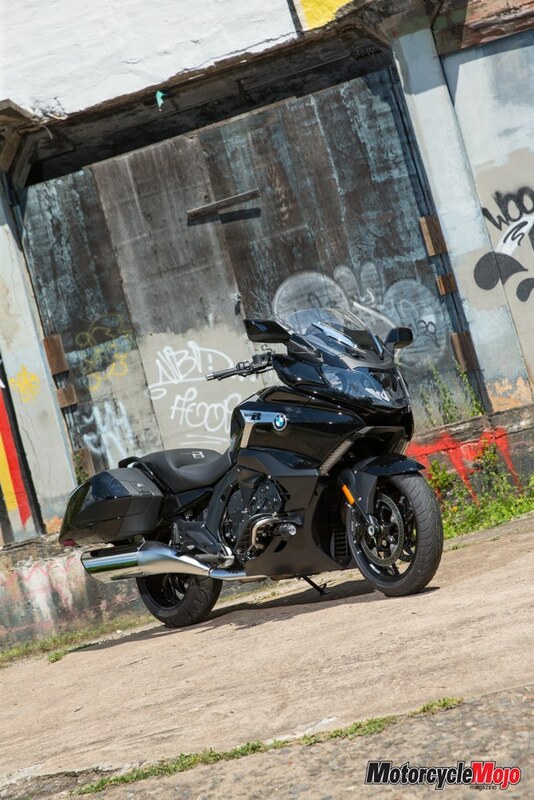 In 2013, Honda re-imagined the genre by producing the F6B, a Japanese bagger based on the six-cylinder Gold Wing. 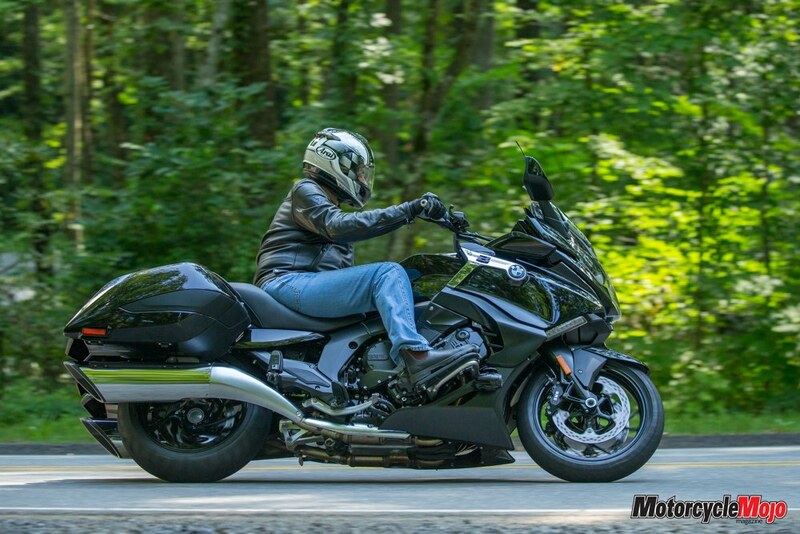 Well, we now have a German-made K1600B Bagger, and it is the supersport of baggers. The K1600B’s undercarriage and chassis geometry are shared with the K1600GTL, but the B has a redesigned rear frame that sits 71 mm lower. This subsequently drops both the rider and passenger seat height by an equal amount, with the rider’s perch now at 780 mm. That’s 30 mm lower than the GT and 30 mm higher than the GTL. Though seat height is not adjustable, a no-cost low-seat option drops seat height to 750 mm. 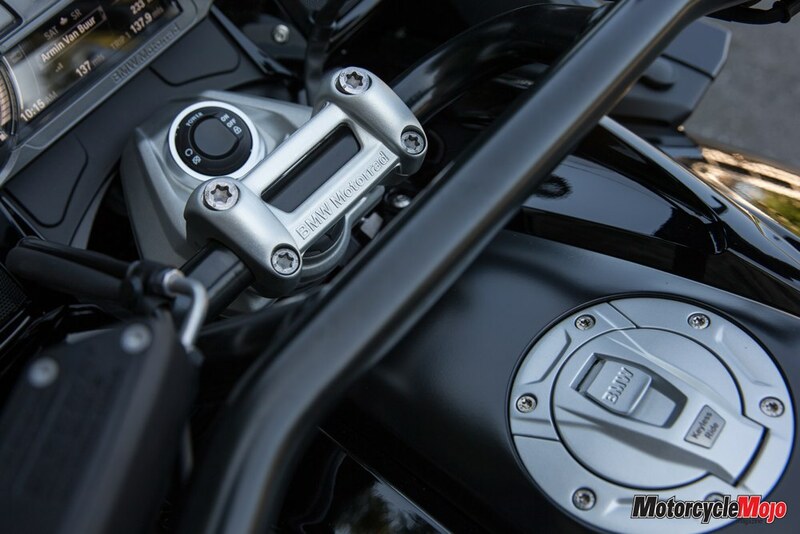 Its 1,649 cc inline-six produces 160 hp and 129 ft-lb of torque, making it the most powerful bagger on the market. 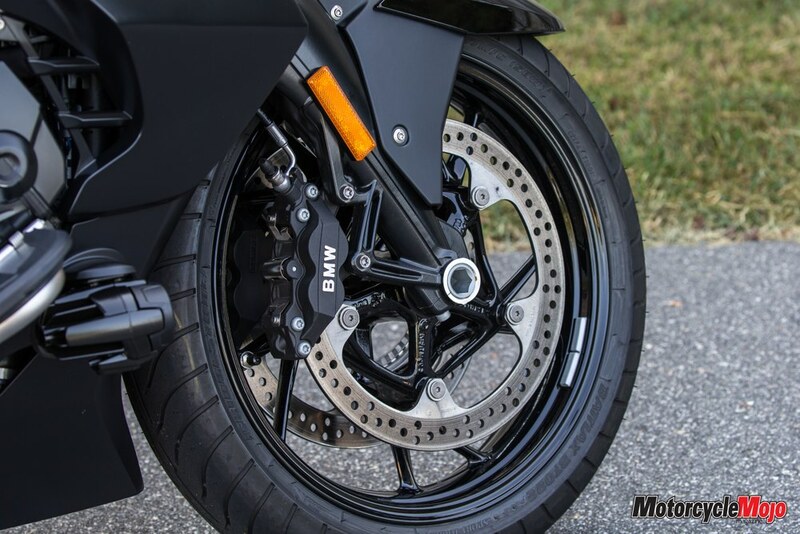 The engine drives the rear wheel through a six-speed gearbox via shaft drive. 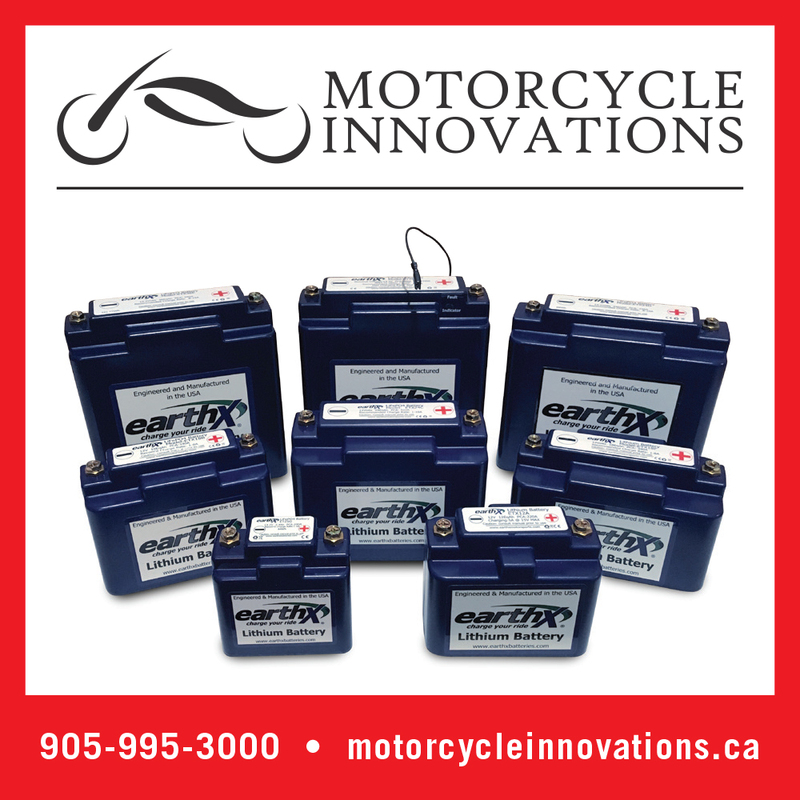 It also uses the GTL’s 700-watt alternator, as opposed to the GT’s 580-watt unit. 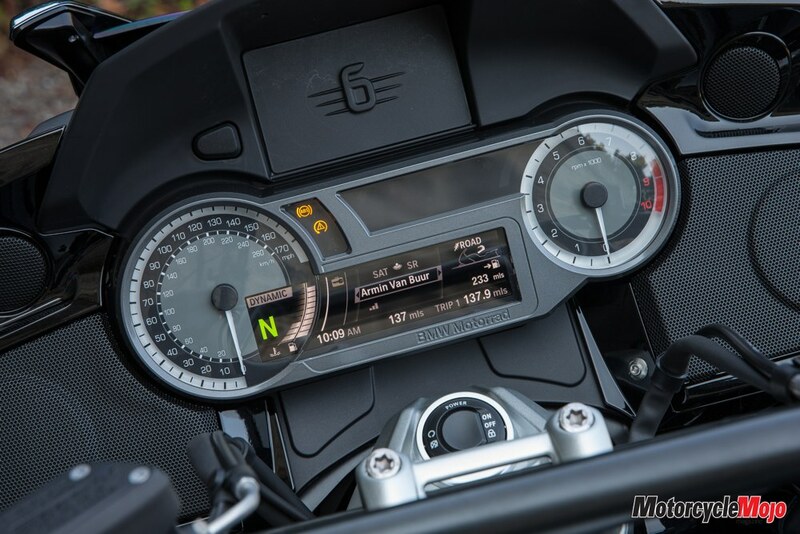 From the rider’s seat you’ll find the same instrument cluster as on BMW’s two original K1600 models, which includes analogue gauges for the speedometer and tachometer, and a central TFT colour screen for selecting ride modes (Rain, Road or Dynamic), seat and grip heat levels, suspension settings and trip info. 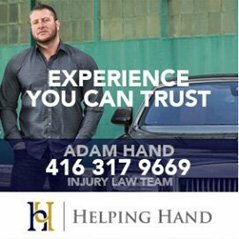 Your hands, however, grasp a new tubular handlebar, which kind of resembles a drag bar, but with a U-shaped tube attaching it to the top clamp. 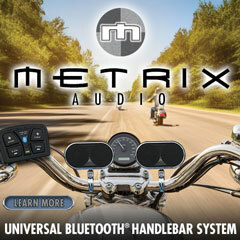 If you find its styling odd, you can request a forged-aluminum handlebar at no extra cost. The fairing closely resembles the one on the GTL, which is slightly different from the sportier GT, but it features a much lower windscreen. At the rear are new, more streamlined side cases, but unlike the GT and GTL, they are bolted on and are not easily removable, though they have the same capacity, at 37 litres each. Also new are the oil-drum-sized mufflers. 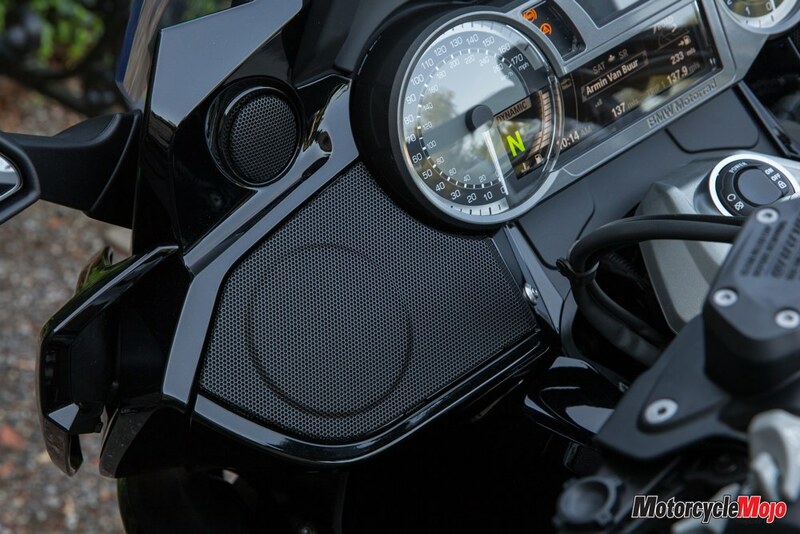 My test bike came equipped with forward-mounted floorboards (a $240 option) that flip up to reveal cleverly concealed engine crash bars. 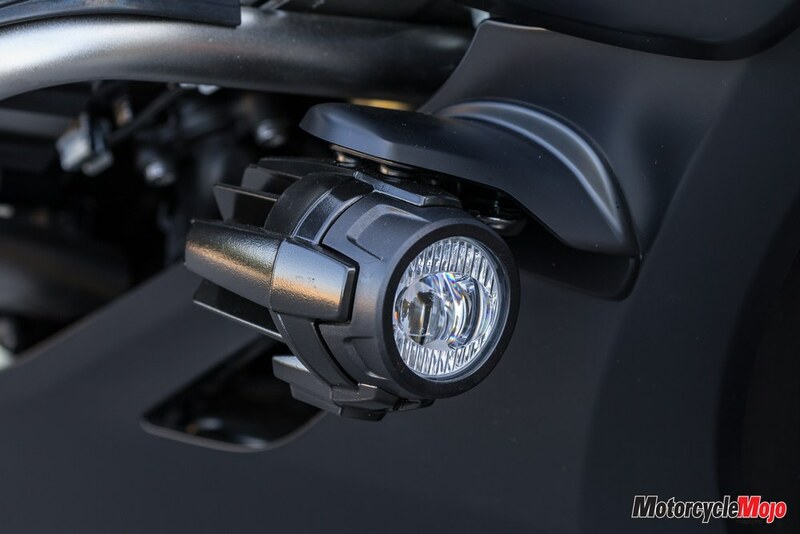 It also has LED fog lights, which are part of the $1,750 Equipment Package that also includes keyless operation with central locking, electric shift assist (up- and downshift) and an anti-theft alarm. 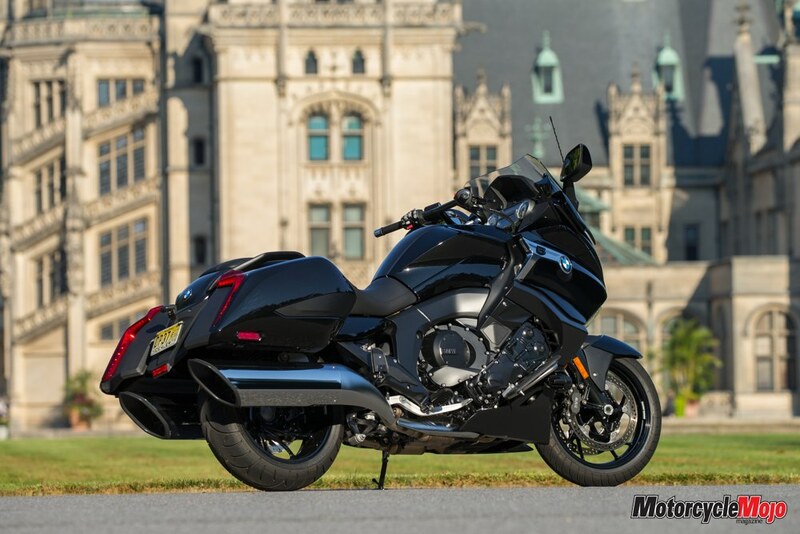 It also has an optional electric reverse (à la Gold Wing), which is part of the $2,500 Touring Package that includes an audio system. 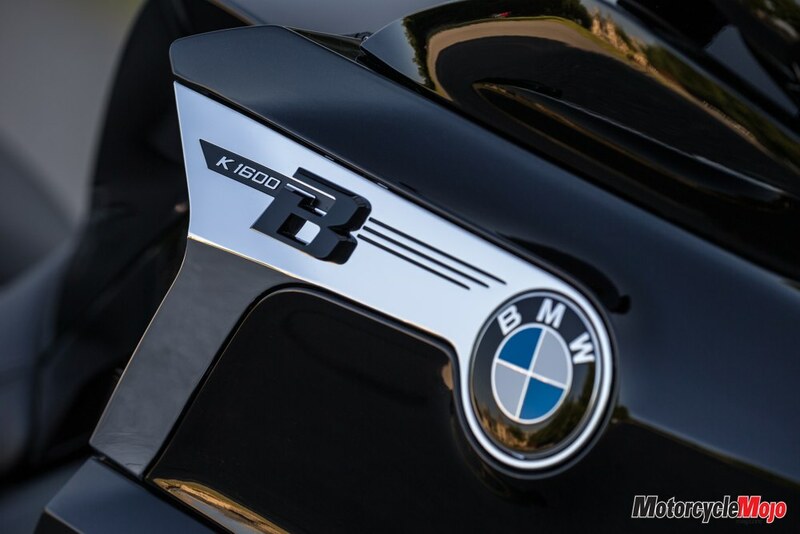 We began the first day with an hour-long interstate stint toward the mountains, giving the K1600B a chance to stretch its legs. With the cruise set to 130 km/h, I, too, stretched my legs onto the optional floorboards, taking a very un-BMW-like leg-forward stance, which actually felt quite comfy, especially since I’d cut airflow to my body by raising the electrically adjustable windscreen. 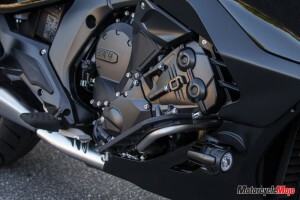 And don’t ask me how I know this, but the bike is governed to top out at 210 km/h. 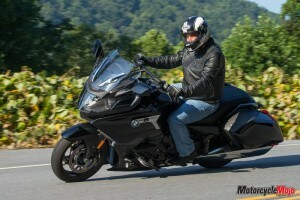 On the highway, I was pleasantly reminded of just how smooth the K1600 platform is. 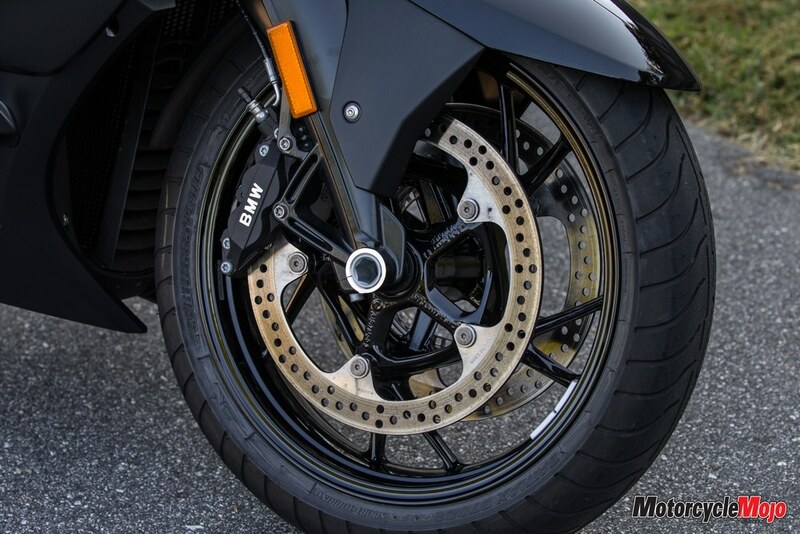 Simply put, the bike is electric smooth and almost completely devoid of vibration. 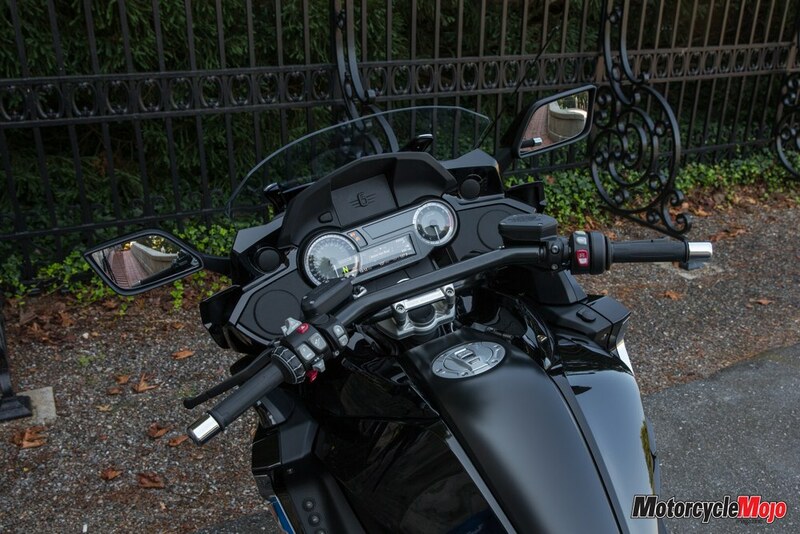 Comfort is exceptional, which is no surprise being that the Bagger is derived from a long-distance touring bike. 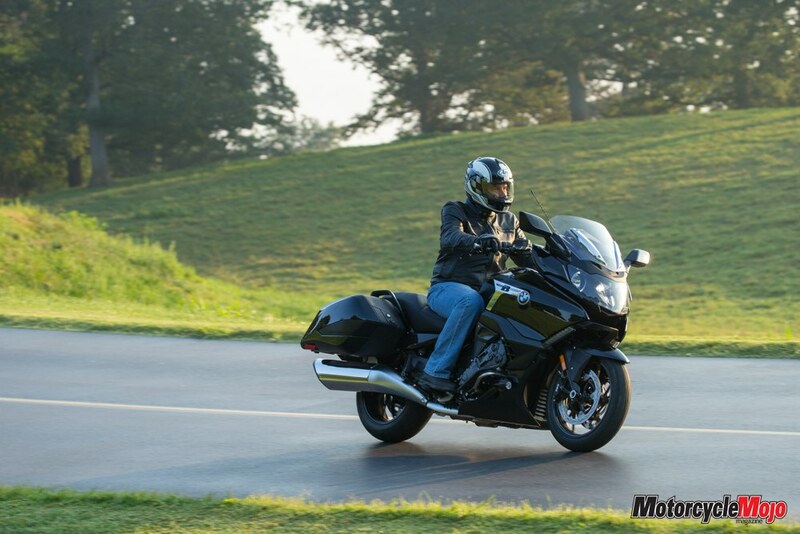 It floats over pavement, though the incredibly smooth roads in the two Carolinas and Tennessee are partly responsible for the polished ride. Our hosts had installed the optional low seat on all of the test bikes, but most riders above about five-foot-10, like me, requested the standard seat on the second day. While the low seat provides an effortless reach to the ground, the perch is too cramped for taller riders, though the floorboards do provide some relief. 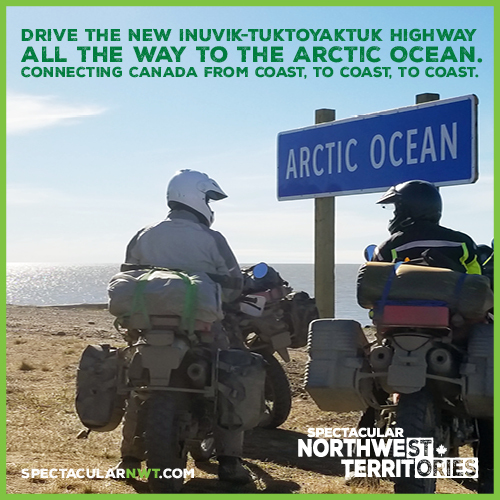 Leaving the highway, we began the more intense part of the testing along tight, twisty yet board-smooth roads toward our lunch stop, where we enjoyed a two-hour break, highlighted by the moon’s blotting out of the sun. I’d witnessed a partial eclipse before, but we enjoyed the full effect here, and spectacular doesn’t even begin to explain the experience. As the sunlight began to wane, crickets began chirping, fooled by the midday darkening of the sky. 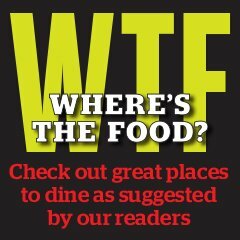 Automatic porch lights turned on. The temperature dropped. Then, as the last beads of sunlight disappeared behind the moon, the sun’s corona appeared. Aside from witnessing a spectacular display of the sun’s corona for about a minute and a half in near night-like darkness, the dramatic golden lighting when the sun popped out the other side was equally as enthralling – like a perfect sunset without the long shadows. 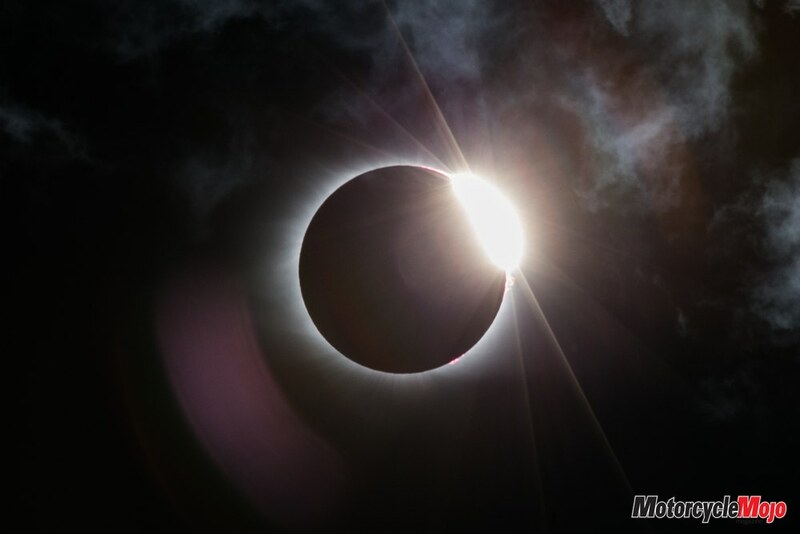 Earlier, on the way to our lunch stop, we had noticed the scores of eclipse chasers streaming slowly into the mountains in their cars, and parking along the roads and at lookouts to witness nature’s dramatic light show. While this posed almost no problem heading into the mountains, once the sun was done eclipsing, we were assured to experience what our hosts called “carmageddon” on our way back as everyone drove out of the mountains at the same time.